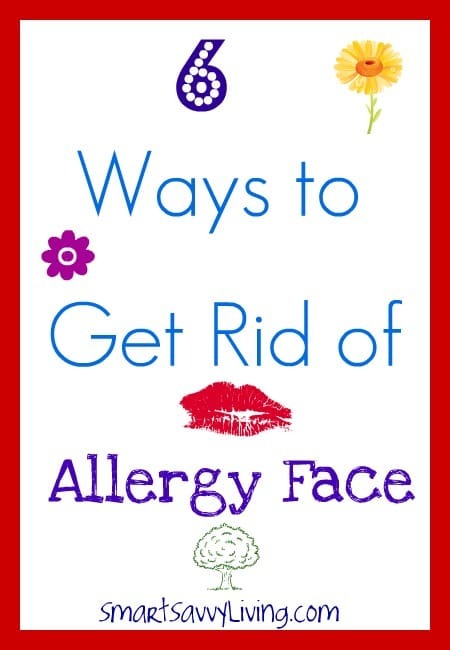 This post about ways to get rid of allergy face is brought to you by Zyrtec. All opinions are 100% mine. (No so) happy pollen season! If you’re an allergy sufferer, you likely have issues with a puffy face, watery eyes and other symptoms of “allergy face”, right? You don’t have to go out with a paper bag over your head to hide it, though, with these 6 ways to get rid of Allergy Face. 1. Use water-proof make up. I know that when I have watery eyes, mascara was always a major don’t, unless I wanted to look like a raccoon, of course. Luckily, these days there are many water-proof makeups out there so we don’t have to make a beauty don’t! 2. Use ice or frozen gel packs on swollen areas. As much as it pains me to admit, I have woken up with eyes so puffy that I could barely see! I certainly didn’t want to go out looking like that. I found out that ice, gel packs, or even a bag of frozen peas set on the eye or other swollen areas can help puffiness disappear in around 15 minutes. Just make sure you wrap the frozen items in a towel before using so it’s not too cold. 3. Stay hydrated. Puffiness is often due to water retention, while watery eyes can make you a bit dehydrated. So, make sure you’re drinking plenty of water, especially during allergy season. 4. Be mindful of things that can make your symptoms worse. Spicy foods, gluten, dairy, etc. can all be inflammatory foods that can make our allergy symptoms even worse. Cleansers, creams, etc. can also cause extra irritation. Take a survey of any items you may be eating or using that could be making your allergy symptoms even worse than they need to be. 5. Take time to relax. Constantly sneezing, coughing, having problems seeing, etc. can stress even the calmest person out. Take the time to relax by having some you time, taking a hot bath, meditating, whatever helps you to relax. You just might see your symptoms ease up a bit! 6. Take an antihistamine. I luckily don’t have to deal with allergy issues too often, but Mr. Savvy sure does. That’s why we always have a bottle of ZYRTEC® in our medicine cabinet. His allergies especially kick up around pollen season with lots of sneezing, a stuffy nose and runny eyes and with his demanding job, he just can’t afford much downtime. So, with ZYRTEC® he can feel back more to his normal self in as little as an hour the whole day with just one pill! ZYRTEC® also of course helps with helping you feel better by lessening your allergy symptoms and these ALLERGY FACE beauty tips can help you still look your best. Do you feel like you can ever really get rid of allergy face? See what some fellow ladies had to say; I was shocked so many stay at home instead of going out with allergy face! 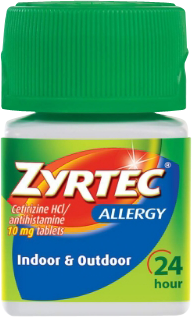 Be sure to Check out Zyrtec on Facebook for more allergy help and information! What are some ways to get rid of allergy face that you use?